I just found this thread and I'm a newbie as well! Thank you to everyone for the photos. There were several I hadn't seen before! I agree that the best one hasn't been written yet! Have there been any new reports on a book by either Jimmy or Robert? I know they both don't like Hammer of the Gods. I was hoping they'd write their own books by now. How long ago was the book about Peter Grant written? I hadn't heard about that one. I have been listening to the Led Zeppelin channel since it started. It seemed to have the 1973 The Song Remains The Same songs a lot during the first week. I have Led Zeppelin on my favorite artists so it comes up all the time. It seems that "Dazed and Confused" is nearly always playing when I'm driving to and from work. I agree with you, The Boneyard is one of the best channels! Great White, Dokken and Ratt in September in Sioux Falls, South Dakota. I hope you have/had a Happy Birthday! 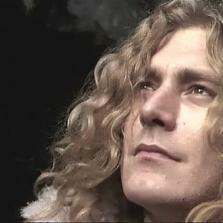 Did you know that's Robert Plant's birthday as well? Led Zeppelin II is my favorite.